Faux wood blinds are blinds that are made to look like real wood blinds, but made from PVC material. This type of material won’t warp, fade or crack and great choice for bathrooms, kitchen and in the room with high humid environment. The vinyl material of Faux wood blinds are available in stains and painted colors. Faux wood blinds can imitate wood blinds finish in a practical manner and a very great choice for sunny and rainy season. 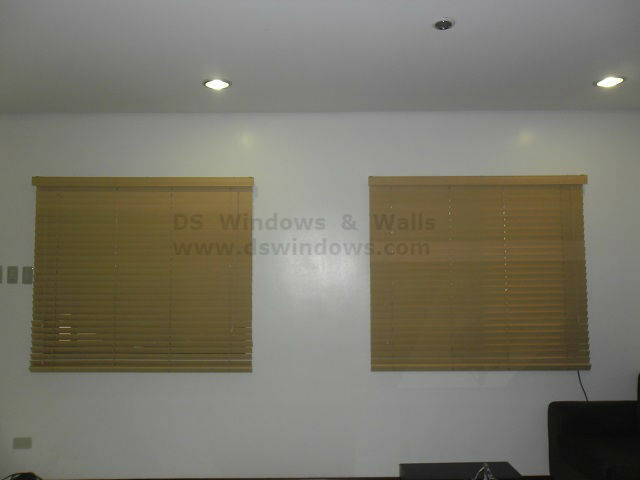 One of our clients in Old Balara, Quezon City selected Faux wood blinds: Maple for his living room to complement with his dining set and at the same time give them complete privacy and security. Faux wood blinds is perfect for modern and traditional home interior. Through various finishes of faux wood blinds, you can perfectly complement it with your existing home decor. During rainy season, you don’t have to worry that it may fade or crack because faux wood blinds is water-resistant and perfect for high humidity areas. Colors like white, beige, birch, etc. are also available and can be combined in one set or panel depending on your choice of color combination. Its sizes can also be custom-made according to your preference. 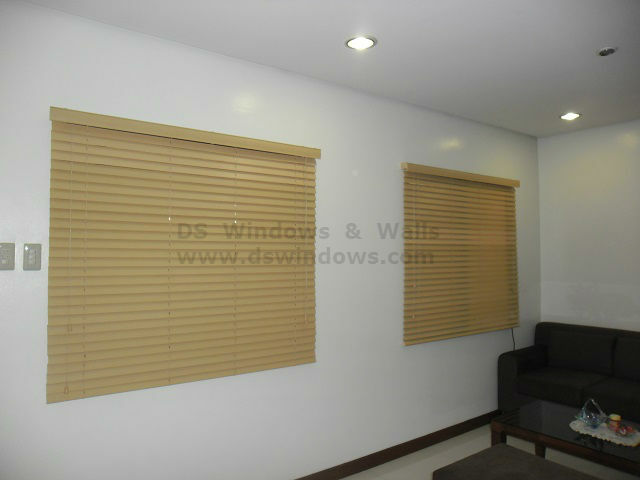 For any queries, contact us at (02) 403 3262 / (02) 893-1373 / 0916 311 3909 or email us at inquiry@dswindows.com. You may also visit our showrooms at 4/f Waltermart Center, Makati City, 3/f Robinsons Metro East, Pasig City and 2/f Pacific Mall, Lucena City.